FDA wants to inform you about complications that may occur with the surgical mesh that is sometimes used to repair hernias, and to provide you with questions you may want to ask your surgeon before having this procedure. This is part of our commitment to keep the public informed about the medical products we regulate. Hundreds of thousands of hernia repair operations are performed each year both with and without surgical mesh, and patients generally recover quickly and do well after surgery. 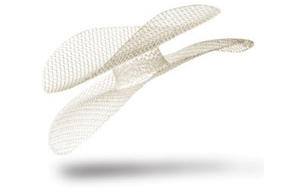 However, FDA has received reports of complications associated with the mesh. The complications include adverse reactions to the mesh, adhesions (when the loops of the intestines adhere to each other or the mesh), and injuries to nearby organs, nerves or blood vessels . Other complications of hernia repair can occur with or without the mesh, including infection, chronic pain and hernia recurrence.